Join Mickey and Friends for a special ceremony to light the Castle which has been decorated with character themed candles for it's 15th Birthday! 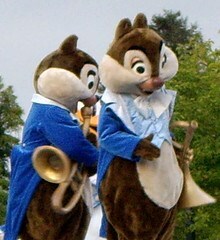 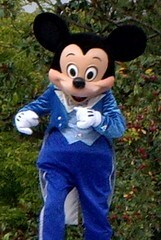 This show was originally held on a small stage in Central Plaza. 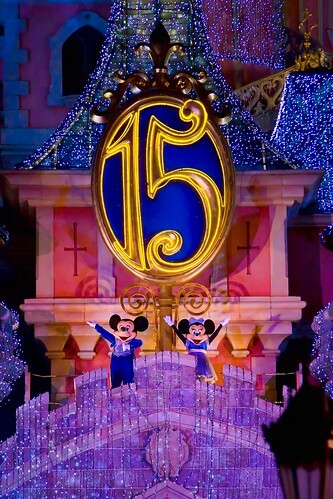 When the original 15th Anniversary year ended, for the second year they removed most elements of the show, and put Mickey and Minnie up on the Castle Balcony. 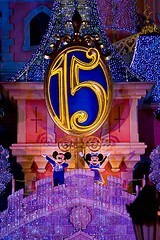 From there they lighted the Christmas Lights which had been left on the Castle for that very reason.